Current legislation does not properly deal with copper theft, says co-operative governance minister Pravin Gordhan. Bringing down high levels of copper theft in SA is among government's highest priorities, according to co-operative governance minister Pravin Gordhan. In a reply to a parliamentary question, Gordhan said: "The high prevalence of cable theft, in particular copper theft, and its consequences, has become a major concern throughout the metros and towns." He added that stealing the metal from public infrastructure "costs the economy billions of rands", although he did not specify figures. According to the most recent copper theft barometer released by the SA Chamber of Commerce and Industry (Sacci), the scourge declined to stand around R12 million in value stolen in August, compared to R12.2 million in June and R15.4 million in May. Sacci noted the Copper Theft Volume Indicator dropped to 158 metric tons in July from 166 tons in June and 214 tons in May. "The international average monthly spot price of copper to date slipped to $7 008 (R74 655) in August from $7 117 (R75 816) in July," said Sacci in a statement released along with its latest findings. "South African exports of waste copper products dropped to $24.6 million (R246 million) in June from $25.7 million (R273 million) in May," the body said. Gordhan said the state security department would provide the extent of the problem throughout the country "in due course". He said his ministry, together with justice and correctional services, state security, and public enterprises, as well as the SA Police Service, had formed a working group to identify and make proposals to deal with the matter. 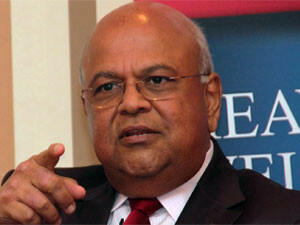 Current legislation did not adequately address the problem, according to Gordhan. "It only imposes obligations on dealers in second hand goods and provides for various prohibitions," he said. According to the minister, government has placed legislation dealing with cable theft high on its agenda. He said particular attention was being paid to the Second Hand Goods Act "as an instrument, which deals with the possession of the cable once it has been stolen, to deal also with the actual stealing".